The world has transformed into a global village and the people are more connected to each other. The people who are used to interact with the foreigners and who are needed to exchange written documents with the foreigners always remain in the need to get translated these documents. As a matter of fact, it is not possible for a person to master all the languages. He remains in need to get these documents translated into another language that is understood by him and others. Even sometimes you need to read a book that is written in some unknown language and you need translation of it. So here exists the need of translation service. It is a service in which the text written in certain language is translated into another language that is demanded by you. So here we are for you. We are entitled to provide this service of translation for you. This service of translation will be provided in three languages basically that are English, Arabic and Bengali within our in house team and also there has virtual team member for other language i.e german, spanish, french, chinese, and others as well. 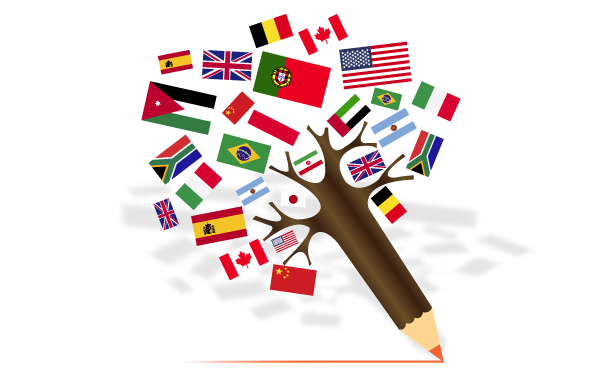 English is an international language and it has been observed that the people of diverse countries try to use English as a medium of exchanging views and ideas and mostly people know this language so we will help those people who are interested to get their documents translated into these three languages. So, the people who were having a problem earlier of translation service, they have an opportunity now. They can get the best possible service of translation into English, Arabic and Bengali. This service can be availed by visiting the website and it is promised that you will get satisfied with our distinguished services. Any material that you are interested to get translated in these three languages, you have to provide us and we will facilitate to you with this service in an excellent way.